Being a home or business owner, you need to take every step possible to ensure the maximum protection of your residential or commercial property. It is important to protect what you hold valuable. This is where A1 Locksmith Toronto comes in, to provide you with the utmost in locksmith care. Whether you need assistance for the combination lock on your safe, on one of your business doors or even on your car, we have all the solutions for you. You can rest assured knowing that you’ve acquired the services of a locksmith company with over three decades of experience. Our locksmith technicians have the know-how and the passion to assist you with all your residential, commercial or auto lock issues. A1Locksmith is here to ensure your property is well protected and its security, properly maintained. 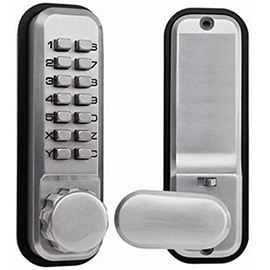 We have established ourselves as one of the most reputable locksmith services in Toronto, Ontario and surrounding area. To avail our services, you can call us today at 647-557-6403.